by endurance, athleticism, speed, courage, and docility,” is often considered the single greatest determinant of match outcome. 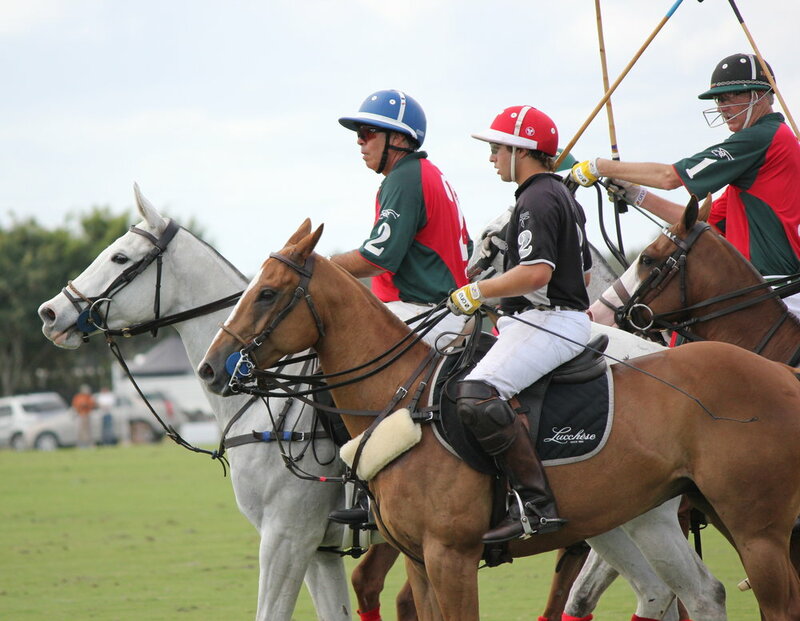 The equipment a polo pony requires is different than that used in other equestrian sports. Two sets of reins are required while playing, the polo saddle is it's own style, and most use a second girth, or cinch, that goes over the saddle for extra safety. A polo pony will not be successful without a competent groom. Manes are shaved and the ponies’ tails are wrapped or braided to prevent the hazard of becoming entangled with players’ mallets or reins. As the unsung heroes of the game, the grooms take care of all the day-to-day responsibilities behind the scenes. Although there is crossover in the breeds used to play and they can be of any size, the best polo ponies are of the thoroughbred blood whose main qualities are heart, speed, wind, stamina, with the ability to accelerate, stop, and turn quickly; and whose temperament is amenable to the rigors of match play. Many polo players describe their best mounts as having big hearts, an aggressive confidence, and a feel for the game.